“Best Laid Plans,” like Maleficent laid an egg, real punny. Let me get this straight, Rumple’s plan is to get the author to make Emma’s heart dark so that villains can get their happy endings but her do-gooder parents swapped her darkness with Maleficent’s baby who they just assumed was a dragon for no real reason and they did this even though they were told by by the apprentice that everyone starts out as a tabula rasa (blank slate) so there is technically no darkness getting transferred but only the potential of darkness from Emma to Maleficent’s baby who is Lily, Emma’s childhood friend, and the only thing this spell did was sending Lily, Ursula and Cruella to the land sans magic but turns out that everyone was being manipulated by the author who had gone rouge and was creating drama, Did I get all that? But what I really want to know is how Ursula and Cruella didn’t age in thirty years? Bit of a plot hole there. Maybe New York is good for the skin. This episode really does make Snow and David look really bad. They know what they did was wrong but they still throw around the word heros and villains so casually, I mean Maleficent is far and away more sympathetic. Emma being all whiny about her parents lying to her, this lair revealed story is as old a time and super boring. Not sure how to feel about this episode, since you could just write David and Snow off because they were being manipulated but some sketchy dude. Plus Maleficent was great in this episode. The twist of the who the author was and him taking off running was good, really he seems like a douche. I just wish everyone wasn’t being so whiny, Maleficent is the only one right now who has a good excuse. Also that line about Walt being a great storyteller, way to stroke your ego Disney. Oh yay…. Zelena’s back! Goody… In a way this feels like some ploy but Zelena is good for shaking things up and I do like her brand of evil so I’m not so against on this turn of events. What I am against is a Robin Hood focused episode, he is boring. He’s better as support character. This episode is all flashback since it focus is 9 weeks in the past and how Robin went from former thief to bartender to nobel thief and all he had to do was steal something for Rumple that now needs in New York to mend his heart which is steeped in darkness. So the Dark One has some weird time limit now? Another question I have is Why would Robin go to freaking New York City? Have these people never heard of Portland Maine? Boston exists and so do a LOT of other places between Maine and New York City. Is it because Neal’s place is available? Did Neal keep up the rent while he was in Neverland or in the Enchanted Forest or dead? You know a year has passed or did he own the place? There is also Emma’s apartment. Did she get out her lease? Or did she own? I mean Manhattan Real Estate . The ending with Zelena posing as Marian made up for the otherwise boring episode and actually Zelena killing Marian and taking her form corrected the time paradox. Marian was meant to die and she did. 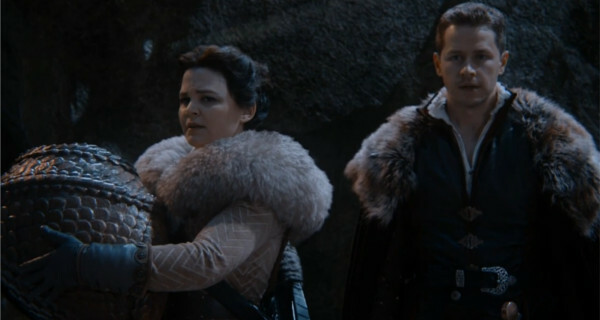 Though I bet if you rewatch beginning of season 4 with the Frozen characters, she was playing the role of Marian really well and no could have see the twist till this episode. It’s like the planned it after Marian came back from the dead. On a Different note, Christie Laing (Marian) was on season 1 of UnReal, which I just marathoned. That show is bloody addictive and full of horrible people. Also she was in Tucker and Dale Vs Evil which is the most romantic movie ever. It’s a parody of slasher movies, which I typically hate but that movie is great. I highly recommend it.